Map it!! Join this initiative! Take Back the Tech – PHThe call to document is a call to bear witness. It is to make the invisible visible. Take Back the Tech! calls women and girls to take control of technology to tell our own stories, create our own testimonies, represent ourselves and shape our own narratives about the violence that women and girls face all over the world. 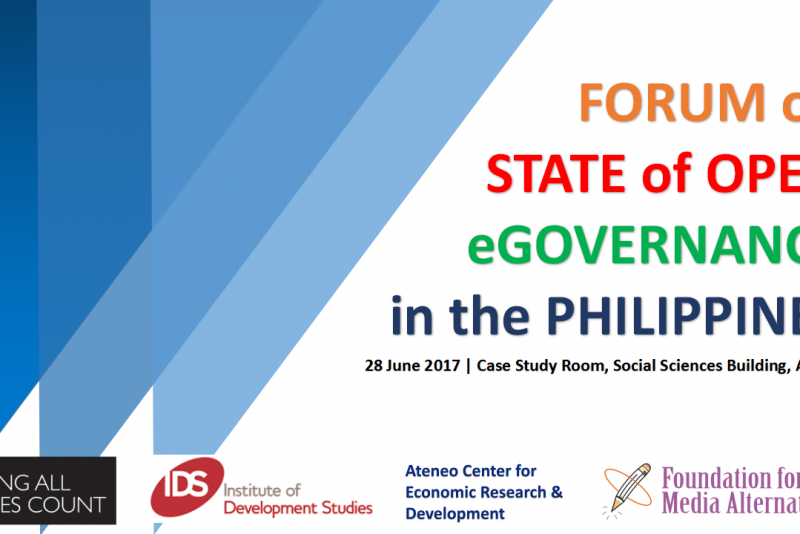 What is Open eGovernance Index (OeGI)? Check out our most recent Mapping of Technology-related Violence against Women with highlights in the form of an Infographic. FMA is a nonprofit NGO in the Philippines seeking to democratize information and communication systems for citizens and communities.